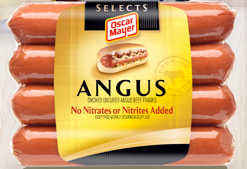 Here is a coupon for $1/1 Oscar Mayer Select Hot Dogs! Should make for a cheap dog. Also here is a $1/1 Gold n' Plump All Natural Chicken! You can usually get pretty cheap thighs and drumsticks with this coupon. Check out my chicken recipes here. There are lots of great coupons at Smartsource! !